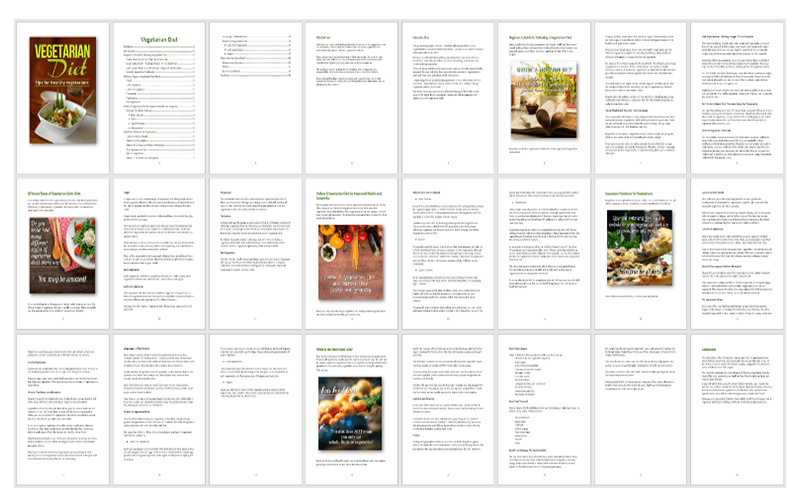 You are here: Home / Diets, Food & Nutrition PLR / Vegetarian PLR – Report, Squeeze Page, Articles, Social Posters and More! 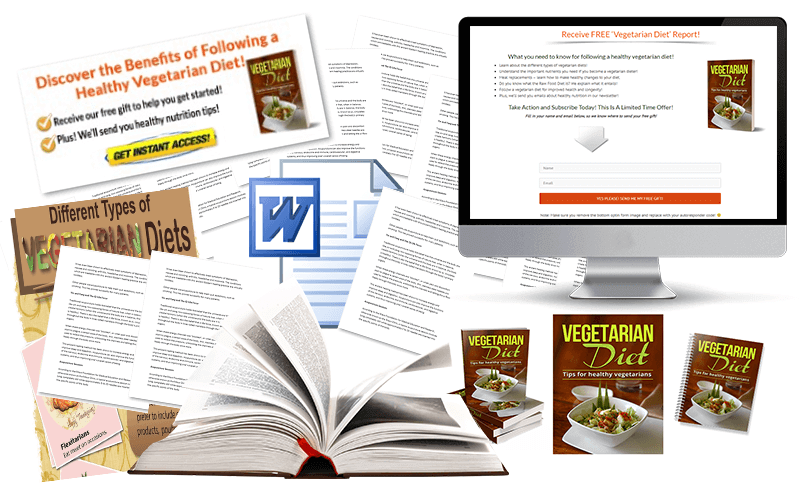 This all new ‘Vegetarian’ PLR package contains a report, squeeze page, articles, social posters and lots more beautiful graphics! 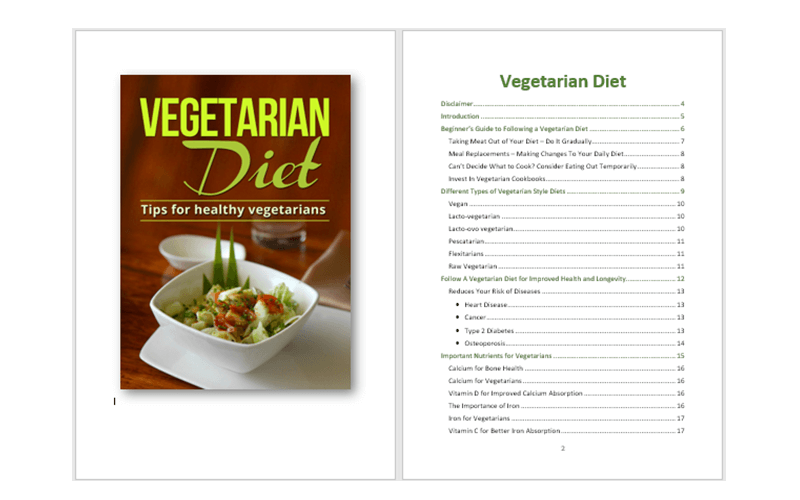 It provides all the information you need to understand and follow a vegetarian diet. 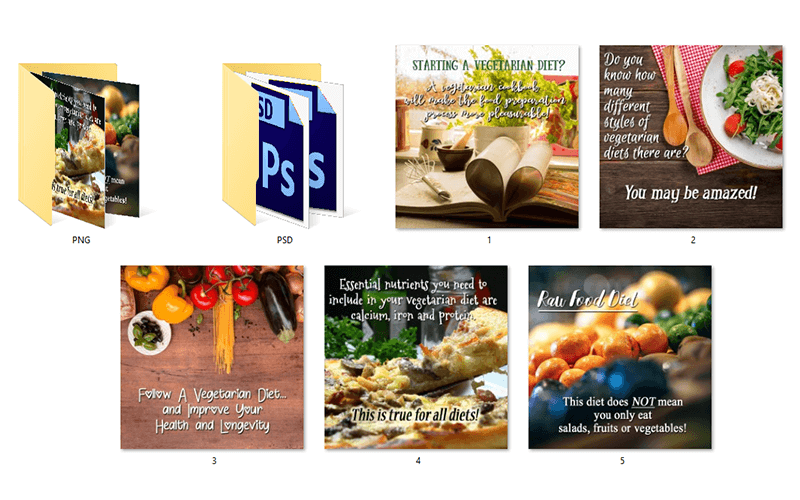 Here’s a preview of what’s in this PLR package! Articles – 5 high quality articles in text and Word doc files. This report has been created from the articles. It is beautifully formatted, disclaimer, introduction and conclusion added. Fully illustrated with royalty free, commercial use images. eCover Graphics – eCover graphics in 4 different layouts, including a 3D stack. The PSD files are included for editing. Squeeze Page – Simply copy and paste the text supplied, add your optin form and start growing your list! Call to Action Graphic – Place anywhere on your website, to get your website visitors to subscribe to your list! Social Posters – 5 professionally designed social posters, plus PSD files! Beautiful typography and photographs. People won’t be able to resist sharing your posters. Just add your URL and enjoy going viral! Infographic – Plus a bonus, full-size infographic! 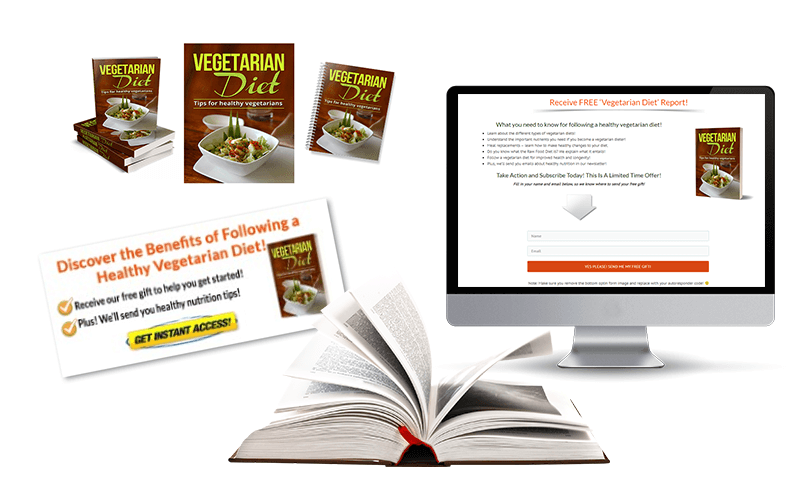 Vegetarian Diet PLR Report, Squeeze Page and ‘CTA’ Graphic! The report includes a disclaimer, an introduction and a conclusion. It’s beautifully formatted with a table of contents and hyperlinked pages. It’s 24 pages, 3,911 words in length! We’re also giving you 5 lengthy articles used to create this package. All the images are royalty free licensed and are for commercial use. This is important! You’ll receive ‘copy and paste’ text for your squeeze page (optin page)! Plus! An eye-catching “Call to Action” graphic to place wherever you want on your website! You’ll also receive 5 articles and 5 social posters to suit each article in this package. These social posters come in JPG, PNG and PSD files are included for editing. 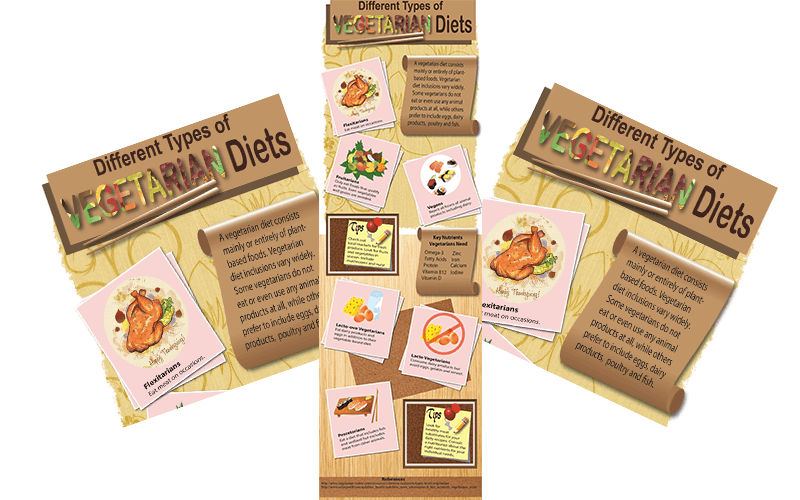 An authority style infographic on the different types of vegetarian diets. People love sharing these! This infographic measures 1,000px x 3,070px. We are proud of the quality content we provide in every single pack!